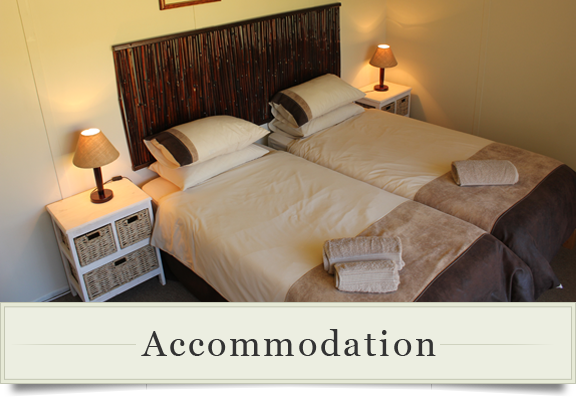 Drie Kuilen Nature Reserve is situated in a beautiful part of the Montague district, in the Klein Karoo. This mountainous terrain stretches over 4300ha with a rich variety of fauna and flora. Being only a two hour drive away from Cape Town, this reserve is home to a wide variety of protected game and is rich in fynbos and renosterveld vegetation types. 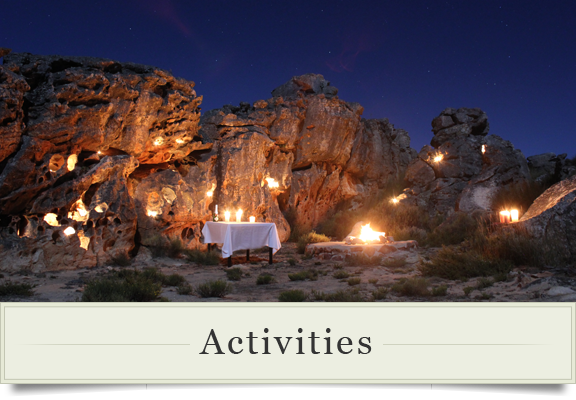 Game drives, mountain bike trails, rock art, 4×4 and hiking trails are just some of the activities available, with various accommodation options for guests to stay in. 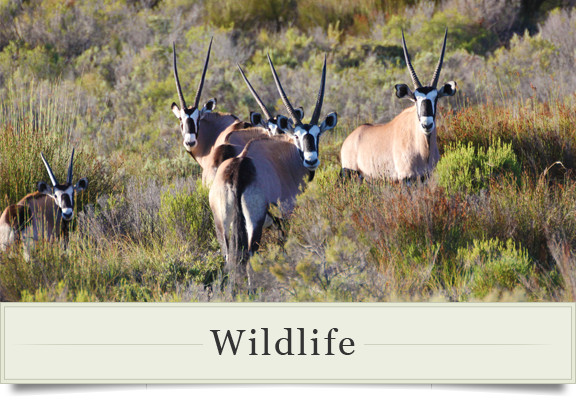 Experience the natural beauty of the Karoo by embarking on a game drive, where animals such as Springbuck, Gemsbok, Eland, Kudu, Red Hartebeest, Black Wildebeest, Vaal Rhebuck, Klipspringer, Ostriches, even the rare Bontebok and Cape Mountain Zebra are seen in their natural environment. Birdwatchers are catered for too with a number of different species residing here. Conservation is an important part of the reserve and measures are taken to ensure that man’s eco footprint is as minimal as possible. The climate in the area assures hot summers and cold winters, with snow occurring almost every year. Guests are encouraged to pack for all seasons when visiting as temperatures may vary substantially between day and night. When embarking on one of the several hiking trails, guests are spoiled with unparalleled views of the valleys below the Waboom Mountains and surrounds – at the top of the summit one can see Montague to the right and Touwsriver to the left. Our tallest mountain is an astonishing 400m higher than Table Mountain! A recommended trail is the Zebra trail, with its natural rock pools and streams for people of all ages to enjoy. Rock art can be found at the eastern section of the reserve, a reminder of the original inhabitants of the area. Seeing the rock art is a fascinating glimpse into an era long gone. Stone ruins are also found here, as left behind by settlers. An aspect of Drie Kuilen which appeals to all ages is the intriguing natural rock formations. These are a must-see for all travellers with names like The Face and The Parrot.